he AIDS Walk raises funds for AIDS Project Los Angeles and 24 other important Los Angeles County AIDS service organizations. 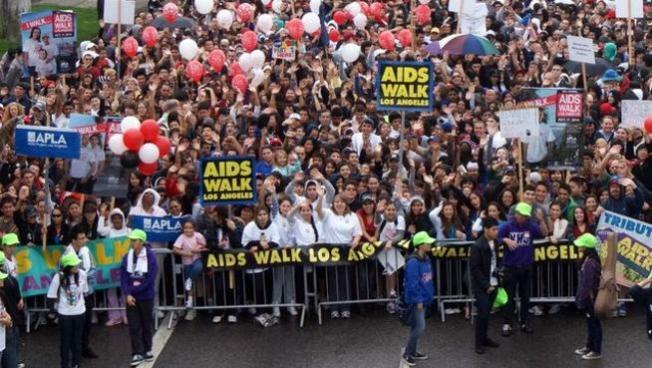 NBC4 has been a long-time media sponsor of AIDS Walk Los Angeles, which has grown to be one of the biggest, most diverse and highly anticipated annual events in Los Angeles, since the disease was first identified in the United States 30 years ago. Last year alone, 30,000 walkers and 2,500 volunteers raised more than $2.8 million for HIV/AIDS prevention, treatment, and advocacy programs. Since its inception, the event has raised more than $69 million to fight the disease in Los Angeles County. The opening ceremony will feature NBC4 anchor, Colleen Williams, celebrities and city dignitaries, at 9:15a.m. Walkers can sign up by 8:30 a.m. and the 10K walk begins at 10:00 a.m.
For more information and to register to walk, please call 213-201-WALK (9255) or visit their website.